The Huawei Fit is the company’s answer towards the Fitbit Charge 2, and you can immediately find the similarities in both of their price tags. Furthermore, the feature offerings for both devices are also similar as both trackers have monochrome touch screens, are able to deliver push notifications to your wrist, have built-in heart sensors, and they also automatically track the daily activities. On the plus side, Huawei’s offering has some bonus points when compared to its direct competition such as a unique training program found in its app, as well as an always-on display. Wearing the Huawei Fit, its lightweight design feels like you’re not wearing anything at all. It has an aluminum case that measures 0.4-inches thick, 1.5-inch wide, and as mentioned earlier, it has a light weight of 1.1-ounces. Even with such design choices, Huawei manages to squeeze in a heart-rate monitor and charging pins found at the bottom of the watch’s face. It should be noted that there are no buttons found on either side of the watch’s face. Instead, all of the controls are done through the touch screen interface. The accompanying strap of the Fit is made out of silicone, and it is narrow and thin at 18-millimeters wide. If you choose to do so, you can swap out the bands for different colors such as blue, black, or orange. Purchasing optional bands also give you an option for different sizes as they are available at 5.5- to 8.2-inches for individuals with large wrists, and 5.1- to 7.9-inches for smaller sizes. To keep the tracker secure, it makes use of a simple buckle closure that gets the job done. For its battery life, it is estimated that you can use the tracker for up to 6-days on a single, full charge. However, this is when you’re making the most out of its features. Should you make it work primarily as just a watch, then it is rated to have 30-days of use on a single, full charge. It will take approximately 2-hours for the battery to go up to 100-percent. Charging is done through the proprietary charging port. There are plenty of features to go around when using the Huawei Fit such as an accelerometer, a gyrometer, and the aforementioned heart-rate sensor. It can track specific activities such as walking, running, cycling, or when you’re using the treadmill. If there is any caveat that can be stated about this tracker, it’s that its always-on display can sometimes be cumbersome since you can accidentally start workouts. But if you can manage, then this is indeed a solid choice. 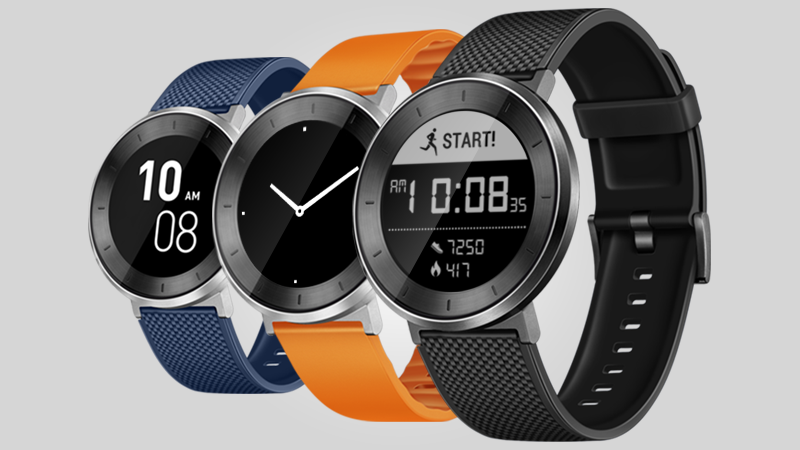 Where to buy Huawei Fit? We suggest to use the link provided bellow if you want to buy this Huawei Fit online.